Our students go "from here to anywhere." This is how they prepare for the trip. Whether students are at SAS for a year or from pre-K through graduation, their time here is spent on a well-mapped journey of academic excellence. This journey – built on the foundation of our Mission and Learner Outcomes – includes a conceptual approach to math that allows each grade to seamlessly build upon the previous one. 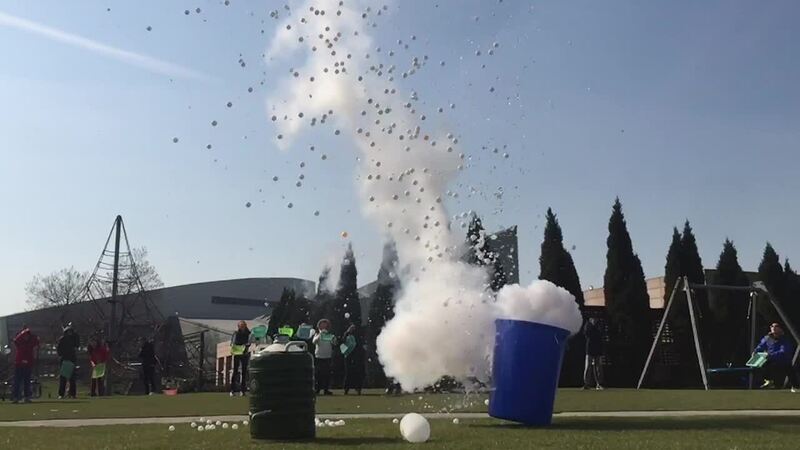 It includes putting learning into practice, like when science classes create chemical reactions that send thousands of ping pong balls soaring into the sky. It includes multiple language offerings and a Chinese program that deepens students’ appreciation of – and ability to thrive in – our host country, as well connections through arts and technology that expand learning in all other areas. It includes the support of a robust ESL (English as a Second Language) program to help Elementary, Middle, and High School students achieve academic success even if their Mother Tongue language is not English. And it includes the choice of both the AP and IB programs. Combined, these offerings reflect our individualized approach to learning, helping the post-SAS years be, well, whatever our students want them to be. Finding the best fit for after graduation means using the college search to get to know each of our students individually, as they better get to know themselves. There are a whole lot of options out there that can make for a successful and happy life after graduation. We offer the support to help you find the best fit. Our personalized college counseling model connects college advising to school culture, culture, and skills gained. Two campuses, four libraries, and a wide range of visiting authors each year. Early Childhood Centers start the SAS educational journey with a space designed for investigation, discovery, and independence. In our Eagle’s Nest on the Pudong campus, you’ll find kids finding frogs, planning gardens, floating homemade boats, creating butterfly gardens, and discovering new hiding places. “Space shouldn't contain students, but inspire them,” says our Head of School Marcel G. Gauthier.